Diamond Creek, Australia – Jan. 16, 2016 – Plumbing services may take many forms and the plumber Diamond Creek company owned by Ben Farrell has earned a reputation for stellar service with 24-hour emergency plumbing services. The company has the expertise to alleviate problems within structures and the earthworks expertise to address outdoor complications. The business specializes in 24/7 emergency services, blocked drains and sewers, burst and leaking pipes, and hot water system installations. The company serves the needs of residential, business and commercial customers throughout the area. One of the most distressing plumbing problems for consumers is sewer back-ups that also present a health hazard. The company is familiar with the array of items that can be inadvertently placed in toilets by children and the difficulties that can arise with sewer drains. The Diamond Creek plumbing company can address concerns within the home and has the equipment required to excavate outdoor pipes when the need arises. Blocked drains are perhaps one of the most common malfunctions that plumbers address. The clogs are typically due to a build-up of hair and lint that prevents water from draining in tubs, showers and sinks. Clogs in kitchen sinks often involve grease build-up. The company’s professionals are well trained in alleviating blocked drains and systems containing garbage disposals. Hot water is essential for a number of daily task and the plumber Diamond Creek repairs, installs and replaces conventional and instantaneous water heaters. The appliances can fail for any number of reasons, from hard water and sediment build-up to defective heating elements. The company addresses those issues, along with problems with pressure gauges, valves and expansion tanks. 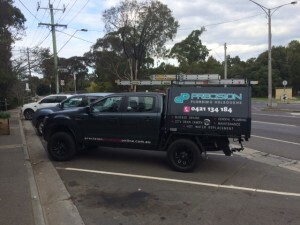 Repairing water heaters, blocked drains and burst pipes are all situations that Precision Plumbing and Earthworks alleviates on a daily basis. The company also cleans drains, replaces toilet cisterns and has the expertise and equipment needed to repair underground drain problems. Fully licensed, the Diamond Creek plumber provides customers with free quotes and 24/7 emergency services to restore drain systems to optimal working order. This entry was posted in Home Improvement on February 2, 2016 by Jess.